Hi, I’m Ru Mahoney with Stokes Nature Center. 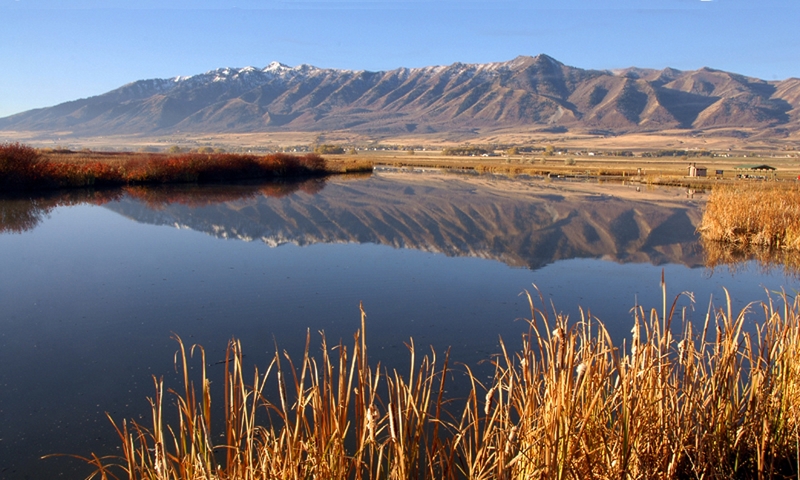 If you’ve ever had the opportunity to visit Stokes Nature Center in the Uinta-Wasatch-Cache National Forest, you know that we’re located about a third of a mile up a narrow trail cut out of a steep slope of the Bear River Mountains on one side and dropping down into the rocky waters of the Logan River on the other. Which is why it’s always a particularly sobering experience, when making a winter morning trek up the aptly named River Trail to the nature center to find my way blocked by 1200 pounds of antlered bullish brown bulk, standing 6 feet at the shoulder. In case you’ve never happened upon a moose yourself, they are what happens when Mother Nature decides that the bulk of an NFL player and the legs of a supermodel should get together in one massively large and absurdly leggy Deer-zilla. And while I’ve never met a moose who’s bored browsing and indifferent glance didn’t make it pointedly, and yes, a little painfully obvious that I was far more impressed with them than they’ve ever been with me, they can pose a threat to the incautious admirer. While I don’t encounter moose every month of the winter, I do hear well-intentioned nature center visitors talk frequently about their own encounters, which too often include accounts of trying to get closer to snap a great picture. Moose are the largest member of the deer family in North America, and are found in the north and northeastern forests of Utah. Despite their size and top heavy appearance, they thrive in watery environments. 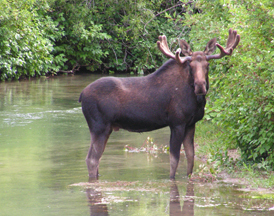 An adult moose doesn’t hesitate to wade into deep water to browse on aquatic vegetation and can often be spotted swimming effortlessly across lakes and marshes to get to prime grazing or escape a perceived threat. Their hollow hair makes them incredibly buoyant swimmers and keeps them well insulated against the cold both in and out of the water. In winter months they may leave frozen high alpine lakes and seek out forage on evergreens and bark, making encounters on lower elevation hiking trails more likely. Male moose rut in the fall, tirelessly seeking out willing females. 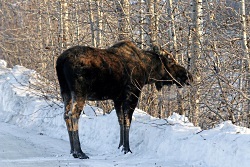 Easily distinguished by their large antlers, which can spread to more than 4 feet across, a bull moose in rut can become unexpectedly aggressive. Signs of aggression include laying back their ears, raised hair along their neck and licking their snout. Female moose don’t have the impressive antlers of their male counterparts, but don’t let that fool you into thinking they’re docile. 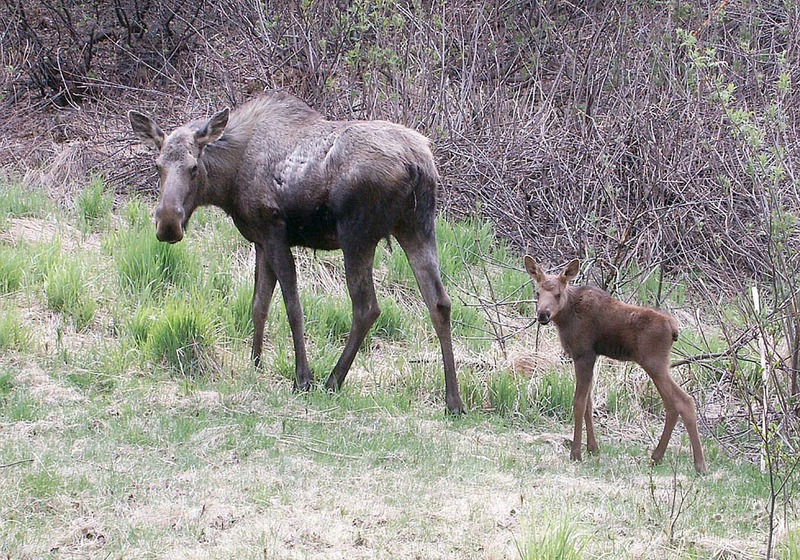 A mother moose with her spring calf is quite possibly the most dangerous moose, and will use her powerful legs and sharp hooves to trample anything she thinks might be a threat to her babe. This includes the unlucky hiker or – more often – an unleashed dog. 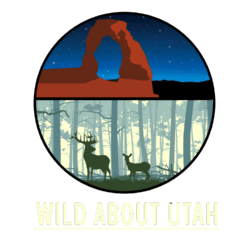 Wild Aware Utah, a nonprofit offering education on how to reduce conflict with wildlife, recommends responding calmly to encounters with moose, talking loudly to let them know you’re there and leashing pets. Often the moose will move along on its own, uninterested in conflict. But if you find yourself in the bullseye of a moose’s ire, the best course of action is to back away slowly. And if you’re unlucky enough to be charged, get behind a tree or solid obstacle. Moose can run up to 35 miles an hour, which means you’re unlikely to outrun one, no matter how much adrenaline is fueling your flight. 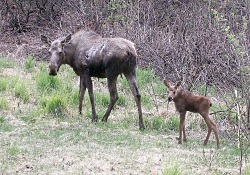 To learn more about moose and how to prevent conflict with other Utah wildlife, visit WildAwareUtah.org. Prettyman, Brett, What’s making Utah’s moose numbers rise and fall?